WASHINGTON (CN) – President Donald Trump on Thursday threatened to call out the military “close our southern border” if Mexico does not stop a Central American migrant caravan before it reaches the U.S. border. “I must, in the strongest of terms, ask Mexico to stop this onslaught – and if unable to do so I will call up the U.S. military and CLOSE OUR SOUTHERN BORDER!” Trump tweeted Thursday. In a tweet, Trump accused Guatemala, Honduras and El Salvador of “doing very little” to impede the caravan’s progress and doubled down on an earlier threat to stop “all payments” to the countries as punishment. Trump has highlighted the issue on his Twitter account, saying Republicans should use the impending caravan to underscore the gulf between their party and Democrats on the issue of immigration leading up to next month’s midterm elections. The president blamed Democrats for “weak laws” on immigration and said the issue is “far more important” to him than a recent trade agreement struck between the United States, Mexico and Canada. 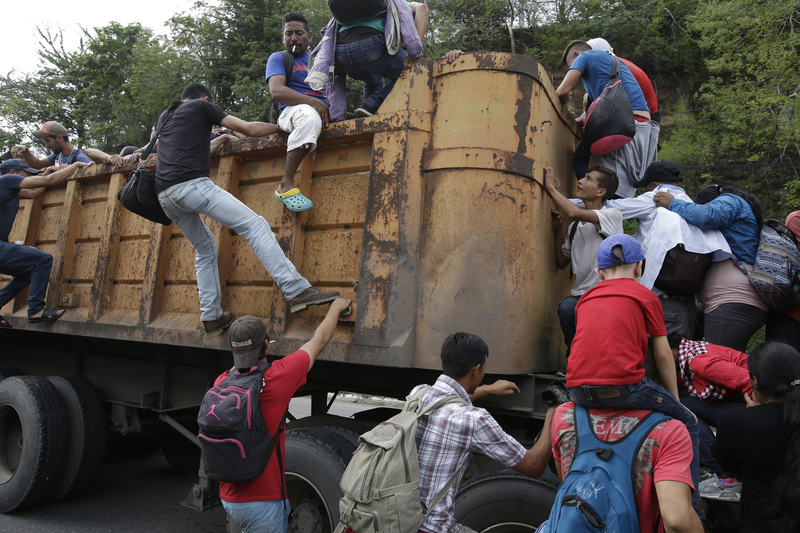 According to the Associated Press, the Mexican government has sent additional authorities to its border with Guatemala and has issued warnings stating members of the caravan picked up without the proper documentation will face deportation. A separate group of migrants came to the U.S.-Mexico border earlier this year, sparking similar attention from Trump.